We are pleased to announce that the date of our second 2019 supper club has been confirmed as Saturday 15th June, with the theme to be confirmed in the new year. Using only the finest ingredients, you’ll experience a hands on cooking experience with Filippo Berio and head chef Stefano Borella, where you will learn & discover Italy’s tastiest recipes. Once the food is ready and prepared, guests will then sit down to enjoy the fruits of their labour- a sumptuous four course meal, made with the finest olive oils and paired with specially selected wines from Zonin 1821. Tickets are exceptional value at £75pp, which includes a 2-3 hour cookery lesson, a four course meal and wine. 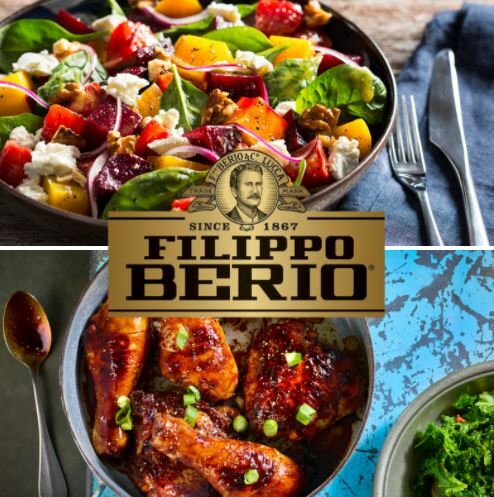 Of course, every guest will also receive a Filippo Berio goody bag worth over £30 plus those all important recipes to recreate the dishes back home. Join us for an unforgettable evening, with delicious food, fine wine & great company. Tickets for this event are exceptional value at just £75 per person. Tickets available on our Online Boutique.